Place of Birth: Lambeth, London, England, U.K.
Simon Cowell is a British television music and talent competition judge, A&R executive, television producer, entrepreneur, and television personality. He is known for his work on the series The X Factor and American Idol. Simon is the son of Julie Brett (born Josie Dalglish), a ballet dancer and socialite, and Eric Cowell (Eric Selig Phillip Cowell), a music industry executive and real estate agent. Simon has a son with his partner, American-born Lauren Silverman. Simon’s paternal grandfather was of English and Jewish ancestry, and Simon’s paternal grandmother was a Polish Jewish immigrant. Simon’s mother is of English, and at least one sixteenth Scottish, ancestry. It appears that Simon’s father did not disclose his Jewish background to his children, and that Simon did not know of his father’s mostly Jewish heritage until Simon was an adult. 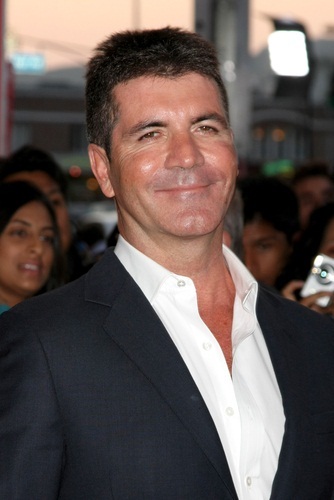 Simon’s paternal grandfather was Joseph Cowell (the son of Joseph Allerton Cowell and Nancy Levy). Simon’s grandfather Joseph was born in Mile End Old Town, London, England. Simon’s great-grandfather Joseph was of English background, and was the son of Joseph Cowell and Kate Venetia Allerton. Nancy was likely Jewish, and was the daughter of Samuel Levy and Sarah. Simon’s paternal grandmother was Esther Malinsky (the daughter of Gabriel Malinsky and Annie/Anne or Rachel). Esther was a Polish Jewish immigrant. Simon’s maternal grandfather was Robert James Dalglish (the son of Robert Watson Dalglish and Sarah Jane Fereday). Simon’s great-grandfather Robert was the son of Robert Watson Dalglish, whose own father, Robert Dalglish, was Scottish, and of Abigal Mason. Sarah was the daughter of Daniel Ferreday and Rosannah Rigby. Simon’s maternal grandmother was Winifred Banks (the daughter of Peter Banks and Edith Eleanor Jupp). Winifred was born in Yardley, Worcestershire. I suppose, but I don’t know if his mother’s other ancestry is only English. Jewish immigrants from Poland aren’t ethnically Polish. I agree with you neiltennant! I know a lot of Polish Jews that look like the ethnic Polish with blond hair and blue eyes.